Here every dish is manufactured by hand from beginning to end. Our products differ from factory-made products not only thanks to the technology with the use of which they are manufactured, the design, but to something more. The imperceptible trace of the effort of the creators who give them the shape, the form and the final effective appearance. As in any real manufactory, we use our secret recipes and methods. Those secrets are guarded and passed to the next generations. But we do not keep everything secret. We believe that the piece of Bolesławiec history connected with pottery manufacturing is worth promoting. That is why we have created the Live Museum of Pottery where you can experience the art of its manual production with your own eyes, and sometimes also with your own senses. You are most welcome to visit it! We would like to invite everybody who would like to learn about Bolesławiec pottery traditions that have been making our city famous round the world for over a century to visit our manufactory. 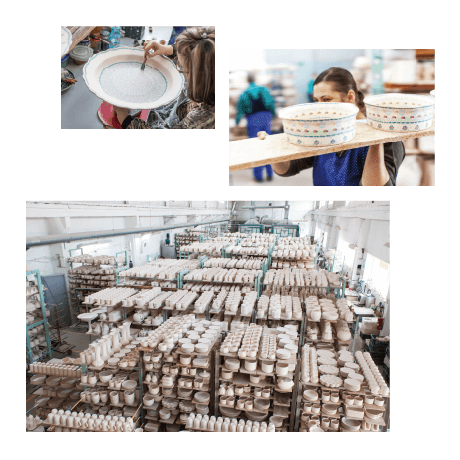 It presents all the stages of the manufacturing process thanks to which you can take a closer look at how our pottery is produced. Together with our guide (when you book your visit, you can book a tour with a guide who speaks Polish, German, or English), you will be able to see all the stages of manufacturing stoneware vessels, starting from the production of the ceramic clay, through the process of casting the forms, firing, decorating, glazing, up to the final, second firing of the stoneware vessels. You can visit our factory every day between 7 am and 2 pm , after booking the date. We look forward to your visit! Especially for our youngest visitors, we have prepared a workshop program during which children have the opportunity to develop their manual skills and artistic sensitivity. 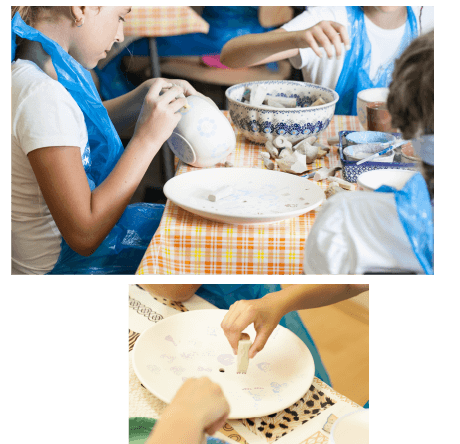 Clay modeling and paining of the vessels they create themselves guarantees great fun for children and serves as a lesson of the local history. 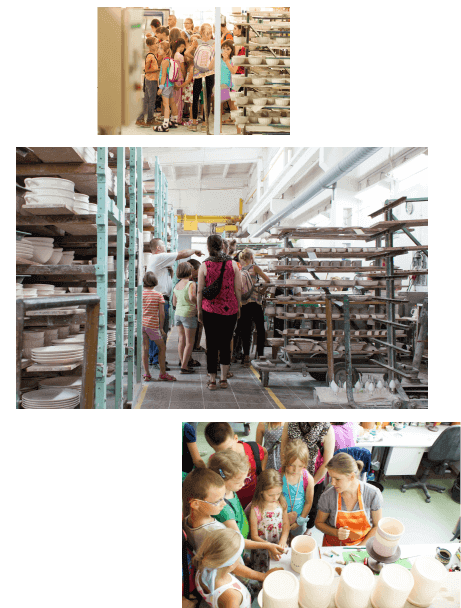 The workshops are conducted by our experienced employees (it is possible to organize the workshop in the German, English, or Russian language) who introduce the children to the secrets of the potter’s profession during outdoor workshops, organize games and quizzes and give a tour of the manufactory to the young visitors. Every participant is presented with the Young Potter diploma. Duration – about 2 hours.